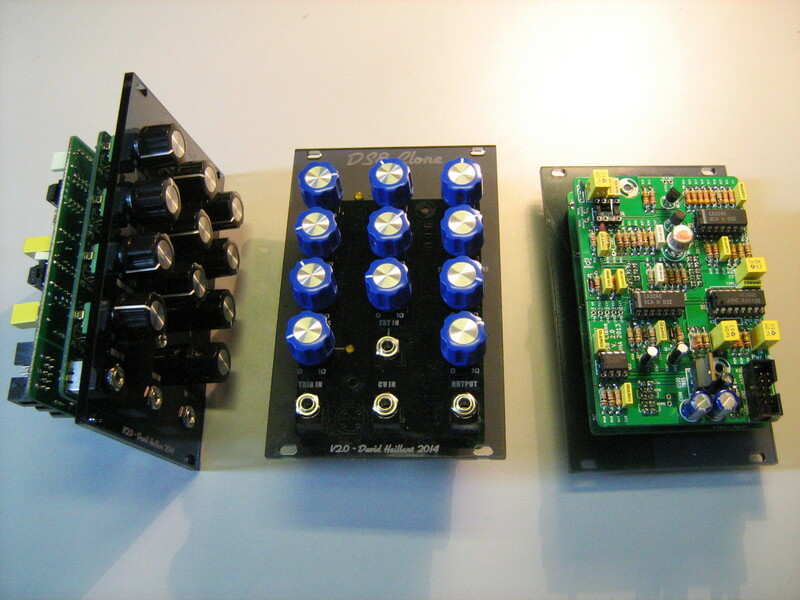 A DS8 is an old kind of analog electronic drum synthesizer. Original version was used in conjunction with piezo sensor to detect drumstick hits. They were 2 versions available, the DS7 and the DS8. They’re almost identical. DS8 adds a noise generator so that you can mimic snare drums or cymbals or high hats. There’s a bunch of clones available on Internet. The most famous version is made by Marc Bareille. He sells nice PCBs with detailed construction instructions. The DS8 is in itself a complete synthesizer : there’s a VCO, an LFO, a noise generator and a VCA. That’s a bit complex for a drum synth compared to others, like the DrumSimulator, from Ken Stone. The DrumSimulator is a simple damped twin T resonant filter. However, that complexity allows you to have a wide range of tweakability! As I said before, you can mimic a deep kick drum as well as a thin triangle. And it’s fun to hack. Any idea what happened to Marc Bareille? I ordered and paid two DS8 pcb last march (2016) – nothing arrived, no reply, no pcbs. Have send him a bunch of emails since then without any result. Had ordered something else from him before and it worked well.